On the occasion of the opening of the SOS Children’s Village Ouagadougou in 1999 the Social Minister of Burkina Faso approached the President of the French SOS Promoting and Supporting Association with the idea of building a second SOS Children’s Village in the country. Once the location of the new SOS Children’s Village was decided upon, the SOS Regional Office carried out a study on the needs of a new SOS facility in Bobo Dioulasso, second largest city of Burkina Faso. 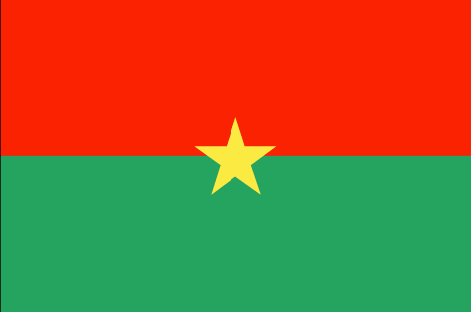 Bobo-Dioulasso, which has about 600,000 inhabitants, is located about 360 km southwest of Ouagadougou. It is an important commercial and business centre, both for the region and for the neighbouring countries Côte d’Ivoire, Mali and Ghana. The central location of the city entails a lot of economic advantages for the population but also brings with it serious disadvantages like drug dealing, prostitution, high HIV infection rate, etc. These disadvantages mainly affect children. Since there are only two small child care centres for orphaned children in Bobo-Dioulasso and since, at the age of 18 months, the children are resettled with their families who, generally, live below the subsistence level, it was decided to construct a new SOS Children’s Village in Dafra, a suburb of Bobo-Dioulasso. Finally, the first children were admitted to the new SOS Children’s Village in March 2004. The SOS Children's Village Dafra was built on a plot of land of about 10 hectares in the centre of the city. It comprises 12 family houses, an administrative building, a sick ward, a house for the Village Director, a house for the SOS aunts (who take care of the children when the mothers are on leave), two buildings for the staff, a guest house, a multi-purpose hall, a sports ground and a small workshop. An SOS Kindergarten which accommodates up to 150 children and an SOS Hermann Gmeiner School (primary and secondary school) were added to the SOS Children’s Village. The SOS Hermann Gmeiner School comprises four main buildings and several ancillary buildings (library, canteen, etc.) and a sports ground. A total of 900 children receive an education in 12 classes.